Edinburgh South is located in the east of Scotland. It was created in 1885 and has been held by Labour since 1987. 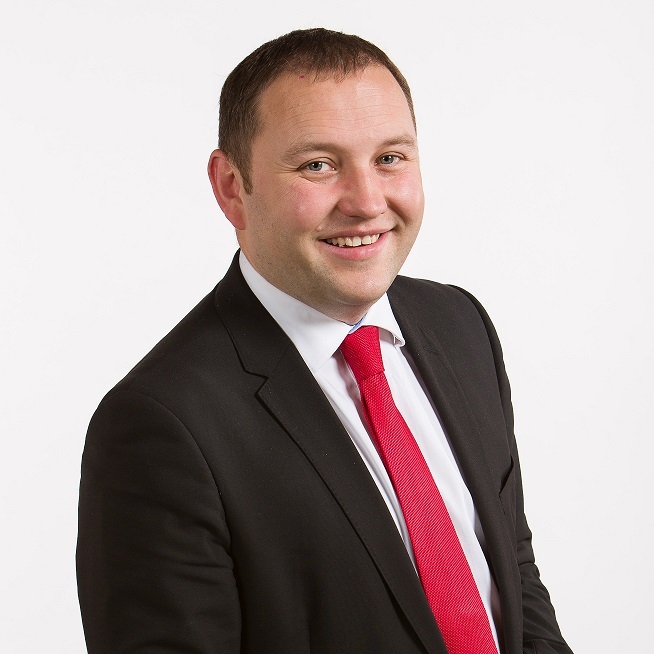 The current member of parliament is Labour’s Ian Murray who has served since 2010. Born, brought up and educated in Edinburgh. Grew up in Wester Hailes and went to Dumbryden Primary and WHEC. 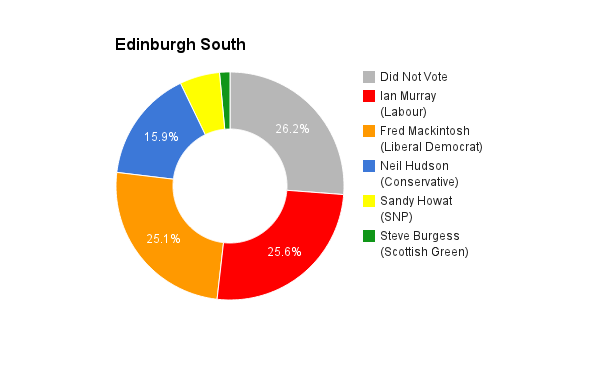 I was elected MP for Edinburgh South in 2010. I’m currently the Shadow Minister for Trade and Investment. This includes employee relations and postal affairs. Prior to that I was a parliamentary private secretary to the Shadow Sec of State for Culture, Media and Sport. Before being elected MP I ran my own businesses whilst representing the Liberton/Gilmerton ward on the Council. One was in festival events where I raised hundreds of thousands of pounds for charity and the other was a bar/bistro and formerly a hotel. I have worked in financial services and in Government services. I have also worked with Royal Blind and set up my own delivery business whilst at University. I went to university at 16 to study Social Policy and law and graduated at 20. More of my biog can be found at http://www.murray4south.co.uk. I’m Labour because I fundamentally believe in Labour values of social justice, equality, fairness and looking after those that need help the most. I think education is the way to social mobility and out of generational poverty. I also believe we should be at the forefront internationally to deal with poverty, climate change, education and health. I believe that those who have the broadest shoulders should help those that are in need. Fairness and prosperity are just words unless they can be backed up by solid policies and Labour will deliver on those when in Governement. I’m inherently a socialist with socialist values. I think my track record of a hard working local MP qualifies me to be re-elected. I promised in 2010 to be the most accessible and responsive local constituency MP and I’m proud of what I’ve achieved. 12,000 constituents directly helped, more open advice session than any other MP in the country, all 36,500 homes offered a home visit, a prestigious award for community engagement, ranked 15th out of all 650 MPs for responsiveness to constituents and the largest primary school Xmas card design competition in the UK. I’ve sent hundreds of thousands of eMagazines and Newsletters to keep constituents informed of what I’m doing. As a Shadow Business Minister I’ve championed the policy to ban exploitative zero hour contracts, pay the Living Wage, increase the Minimum Wage and deal with insecurity at work. Latterly, I’ve been campaigning hard on TTIP. In parliament, I’ve proposed a Decarbonisation Bill that is now party policy, won changes to gift aid worth thousands to local charities in the constituency and £100m across the UK, and the devolution of job creating powers to Scotland. I’m an MP that is engrained in the local community and I’ve worked my socks off to represent and help local people. I’ll always fight for local needs but could achieve much more for Edinburgh South in a Labour Government. I’ll continue to fight for a fairer and more prosperous society for all and ensure the economy works for everyone and not just those at the top. I have a strong track record in this area already. More advice session than any other MP in the country, home visits to every home, surgeries in supermarkets, students unions and workplaces. My award winning eMagazine now goes to over 8,000 constituents. I do regular paper newsletters, answer all 700 emails a day that I receive and ensure I attend as many community councils, groups, associations, traders bodies and forums as I can. I have knocked on over 20,000 doors and spoken to residents directly and sent thousands of local surveys for people to feed their concerns back to me. My office is on a main bus route, is open 5 days a week and you never need an appointment to drop in and be dealt with. I also work closely with local councillors and MSPs from all parties. I have completely open access to all my social media and my website. Constituency work is always priority and I will continue to make it so. I live in the heart of the constituency and have a track record of delivering for the people I have represented since 2010. I’ve reflected constituent concerns in Parliament and ensured that they have a strong voice to Government departments and Ministers. The constituency has unique problems in education, housing and jobs. I will continue to fight for improvements to local communities as I have always done. I care passionately about poverty and poverty pay and will continue to champion those causes in parliament. I would have liked to have been able to learn the ropes quicker. Parliament is a powerful platform to fight for constituents on an individual and collective basis but it takes a while to know how to do that and make the system work for them. It’s not a perfect system but if I was to start again, knowing what I know now, I would be able to hit the ground running. No, it has clearly failed. The more austerity you have the more you need and it becomes a vicious circle. The current Government wanted to clear the deficit by the end of this parliament and they will have spectacularly failed because of their ideological austerity agenda. It also cannot be right that ordinary people, and especially women, have been hit with the brunt of austerity whilst millionaires got a massive tax cut. We need an economy that works for everyone, not just those at the top. Austerity has failed and we can’t afford another 5 years of that failed experiment. It is vital for the UK and always has been vital. I have always seen immigration as a benefit. There are underlying problems with the country that have resulted in some calling for limitations. It’s about housing, jobs, pay, opportunities and hope. If you don’t have these then people see a need to control immigration as a solution rather than dealing with these structural issues. Any restriction that are being proposed should be to enable the structural issues to be dealt with and not an attack in immigration itself. There are more UK nationals abroad than there are non-UK nationals in the UK. The cost of living crisis will be a major plank of the general election campaign and we must tackle it. If we do not people get poorer and poorer and the economy suffers. Firstly, through higher pay with a much higher minimum wage and paying the Living Wage (I’m proud to have delivered that at an organisation I was involved in). Secondly, we must deal with the rip of energy companies by freezing prices and reforming the market. Thirdly, we need more affordable and social homes to get people out of more expensive private lets that are insecure (we should also have longer more secure leases in the private sector with predictable rents). Additionally, lower tax rates for lowest earners and higher tax rates for the highest earners. It needs more staff and we are committed to 1,000 extra nurses in Scotland paid for by the £2m Mansion Tax. However, we also need a much more integrated NHS and Social Care and much more community focussed care. The success of the NHS is preventative medicine. Dealing with alcohol, drugs, poor diet and other issues would take the pressure off the NHS considerably. These are longer term aspiration but should sit alongside health education. Get the private sector out of the NHS so every penny goes into patient care. I did a jobs and skills fair earlier this year and the most startling outcome was the range of ages who attended and the wide spectrum of needs. We need to give local authorities much more control over job creation powers (such as proposed in my Bill this year). They know the local jobs and skills market better than anyone and do some wonderful work in this area already. We also must have a much greater emphasis on the 50% of young people that don’t go to university. Talking up good quality apprenticeships and further education. Labour are proposing a compulsory jobs guarantee for young people who have been out of work for a year paid for by a banker bonus tax. The Future Jobs Fund and New Deals of previous Labour Governments helped thousands and we will do that again. Simply, yes. Positive discrimination is required through all women shortlist etc to change the gender representation issue. There are also too few disabled and BAME MPs. I know there is a very diverse range of professions and backgrounds on the Labour benches but we must do more to make the party more diverse at elected level. That happens not just through education but through mentoring and making sure the support mechanisms are in place to help. I’d encourage them to enthusiastically vote to stay in the EU. It has been good for Scotland and the UK. Yes, it needs to reform to be more focussed on jobs, fairness and prosperity but you do that from being string within, not turning away. It would also give the public a chance to be more positive about the EU and what the benefits have been and can be in the future. Phyl Meyer is your Green candidate in Edinburgh South. Phyl is a charity worker specialising in employability development, internships, volunteering and breaking down barriers to disabled people. He has a local track record as a former Chair of the Liberton and Gilmerton Community Council, during which time he worked on carrying out community consultation, representing community views on local road changes and planning developments and campaigning to protect Green Belt space and improve the quality and access to neighbourhood green areas. 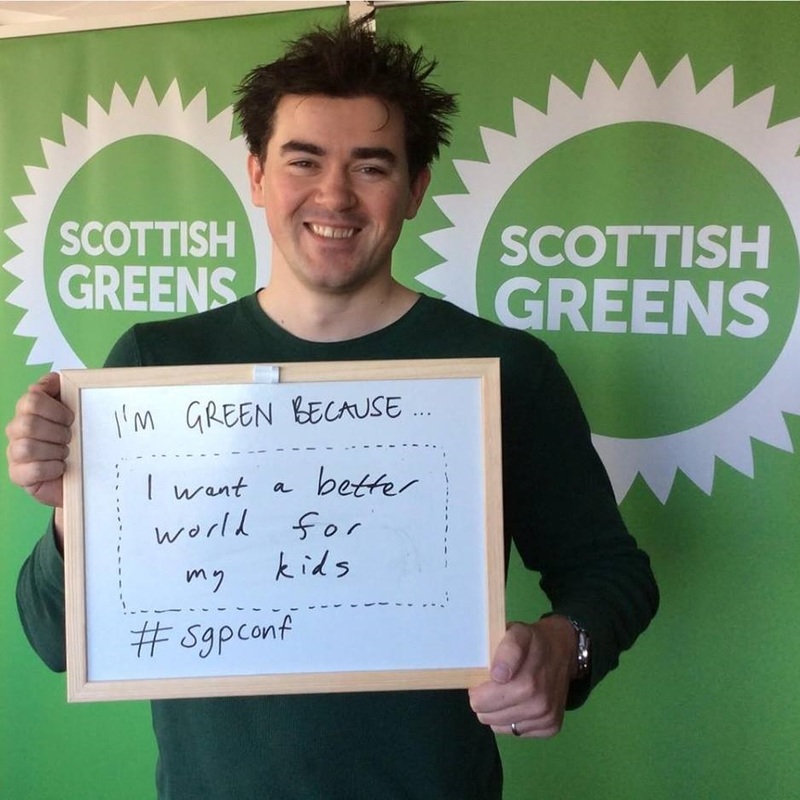 Having first become involved in politics as a national officer in the National Union of Students Scotland he quickly realised that the larger parties of the time were missing some of the most important issues facing our society and allowing too much influence from self-interested rich people and corporate lobbyists – ultimately failing to support policy that ensured fairness and justice for all. That’s why since 2004 he has been a proud and active member of the Scottish party offering a real socially responsible, fair and sustainable alternative in politics. As an MP I would create a wide variety of ways in which constituents could reach me, either to discuss local or national issues or simply to feed back to me what they wish to see me support. Being fully accessible as an elected official means considering that people favour a range of communication methods – phone, email, social media and of course in-person. Most importantly of all though, it is not enough to simply make a show of being in touch – for it to mean anything it has to go hand in hand with actually listening to your constituents and putting them first. With me you know that you are voting for someone that will always put the long term interests of the people first, and who will not compromise on fairness and social justice. I will never support policies which fail that test – such as ideological “austerity” which makes the poor poorer while the rich get richer, marketisation of our education, health system and public services or Trident renewal. I worked with Ian Murray when I was chair of a local Community Council and he was a local councillor, and he did a decent job engaging with the community – but unfortunately he supports a party which has failed the people it was meant to fight for and will tow the party line at the expense of his constituents. That depends on your perspective, doesn’t it. From the perspective of its architects it is absolutely working – they have swept away layers of protection and social justice for the most vulnerable in society, scaled back public services and created ever more opportunities for investors and market traders to profit. From my perspective and that of most people however, it has caused untold suffering, poverty and injustice – so I wouldn’t say it is “working” at all. We need to stop measuring our economy by the financial performance of the top 100 companies and start measuring it on how happy all our people are and how well all our basic human needs are met. Less limitations, and under our current economics it is vital for the future of the UK. Longer term however migration should simply be a matter of choice for us all, not a matter of economic necessity or xenophobic concern. Quite simply – Greens would increase the minimum wage dramatically (currently we are saying £10/hr), but longer term we would like to see the introduction of some form of Basic Citizens Income in which everyone receives a basic minimum living income regardless of employment or other conditions – removing the need for much of our expensive and spitefully run bureaucracy which is aimed at taking money away, not ensuring everyone gets it that needs it. I would like to reverse the recent drive towards making our health service a playground for financial profiteering, and reaffirm that all forms of healthcare and social care should be provided freely on the basis of need to all, by staff who are properly resourced in sufficient numbers to provide such care efficiently – putting the increased funding needed for this in through more progressive taxation. This requires a joined up approach – simply paying for a few more apprenticeships for example isn’t going to do it on its own. We need to improve education and support for school leavers and those who for other reasons may be late to seeking employment. We need to ensure that the work environment is a fair and just place where barriers to participation are removed, such as discrimination on gender, disability, etc. We also need to change the welfare system so that rather than being forced to take zero-hours jobs that don’t suit them to avoid sanctions, people are instead given the financial support to make better choices, prepare themselves for the work they want to do and demand better work conditions from employers – a Citizens Income would provide this. Employers would soon offer better working conditions and pay if they knew people were able to choose not to accept whatever they offered, and with Citizens Income everyone would always be better off financially in employment, rather than caught in benefit traps. Yes – no matter how worthy the politician and how hard they try, nobody can ever represent the views of a particular group better than members of that group. We need better gender equality in politics, but we also need better diversity in may other areas such as ethnicity, sexuality or gender identity, socio-economic background and disability. Electoral reform is needed to help address this, but even more important is the need for better education within society about diversity and inclusivity. I am in favour of giving people the direct democratic power to choose on important issues like this one, and if it comes I don’t think it is for me to tell them how to vote. I would instead simply encourage my constituents to look into the arguments and the issues thoroughly for themselves, weigh up the arguments, discuss them with others and then come to their own decision. The referendum on Scottish independence gave us a taste for this – we can do so much more, and will be a better society for it.